Let ’em up easy… – Mark Loves History! 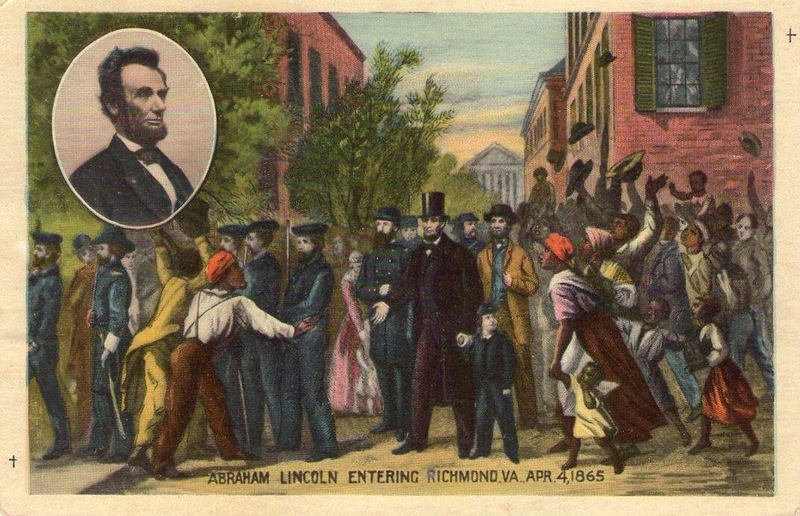 Today in History, April 4: 1865 – President Lincoln enters Richmond, the Confederate Capitol. Lincoln had been at City Point when informed that Richmond had been taken the day before by Union Army forces. He immediately sailed on the USS Malvern, Flag Officer David Dixon Porter’s flagship for Richmond. After he disembarked, he was initially escorted through crowds by a contingent of sailors, who were very relieved when they were met by a group of Union Cavalry to assist in escorting the President to the home of Confederate President Jefferson Davis. Many former slaves attempted to pay homage to Lincoln, who would not allow it. Onlookers watched from the windows and street corners. At Davis’ house, Lincoln sat in Davis’ chair, then toured the house. 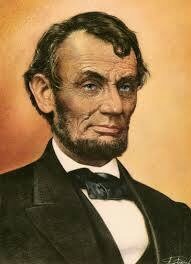 When later asked by Union Gen. Weitzel how the conquered rebels should be treated, Lincoln indicated that he would not give an order in that regard, but that his advice would be to, “Let them up easy….let them up easy”. As for the nervous sailors and cavalrymen that escorted him? As it turns out, Lincoln was safer in the Confederate capitol that his own. He had only ten days until he would be assassinated.